Find the most eye-catching element. In many instances, you don’t have to ‘create’ your focal point. You just have to find it in the room. Windows, for instance, make for perfect features to highlight, given that they offer good outdoor views, most of the time. Plus, the eyes naturally travel towards these. If you have large windows then, just build your furniture around it, in such a way that people would have the opportunity to bask in the good scenery. Just note that natural light may be too overpowering at certain times of the day. So make sure to choose smart window treatments, like motorized blinds or plantation shutters. Fair Haven, NJ-based interior designers opt for customized fixtures for bigger-than-normal windows. 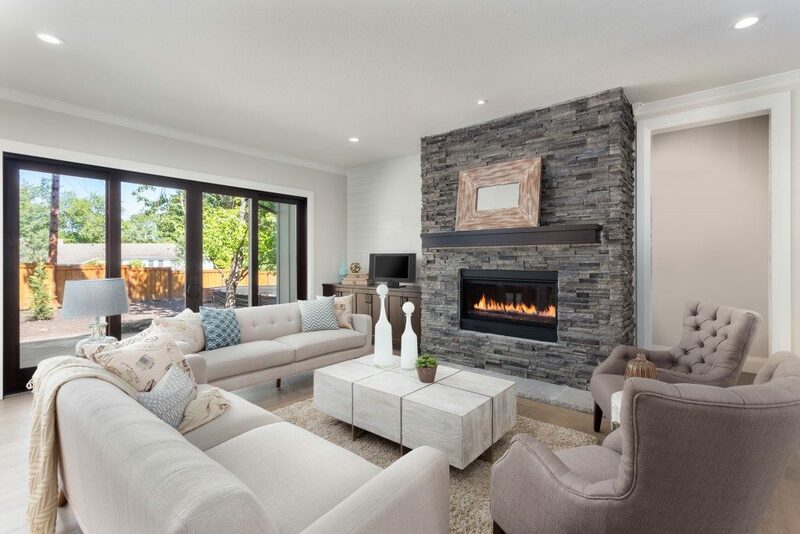 Another built-in design feature that’s ideal to accentuate is the fireplace. Similar to your windows, build your seating furniture around it to frame it better and orient people’s views instantly. Give it some touch of art. If there are no existing focal points in the room, you can create one. What you need is an artistic design piece. An accent wall, for example. Choose oner corner of the room, ideally the farthest from the landing spot of viewers, and paint it with a bolder color than your dominant hues. Or, if you’re not into colors, go for eye-catching wallpaper patterns or a collection of photographs in different frame sizes. Another option is a piece of painting. This has to be big enough so that it can capture the eye easily. Make sure that it’s positioned at eye level. If possible, install accent lighting near it so it can be further accentuated. The touch of art may also come in the form of a piece of statement furniture. For example, a chandelier in the living room or a chaise lounge chair at one corner of the bedroom. A common concern homeowners have is if it’s okay to have two or more focal points. No one can blame your house for having good outdoor views and a nice fireplace, right? In these instances though, it’s best to just concentrate on one. There’s a reason this principle is called ‘focal point’: you don’t want to confuse people. If you have two or more elements highlighted, it becomes visual chaos. It keeps people from appreciating the beauty of the elements one at a time, given that everything’s screaming for attention. So, when you have two or more good focal points, just highlight one, then downplay the others. Don’t worry, as the people take in the focal point’s aesthetics; all the other elements will come into the picture gradually as well, making a better impression. Again, when filling up a huge, empty space, start with the focal point. From there, you’d find it easy to add in the other elements. Remember these tips as you design your space.